Rereading the Fantastic Four comics from the start. It’s Jack Kirby’s next-to-last issue on the book, and once again we go back to the “gangster movie” style he was allegedly fond of at the time. We open with some sitcom shtick at the Baxter Building, as our heroes are throwing a dance party. Alicia is there, with long black hair now. Ben trips while dancing and smashes up some furniture. 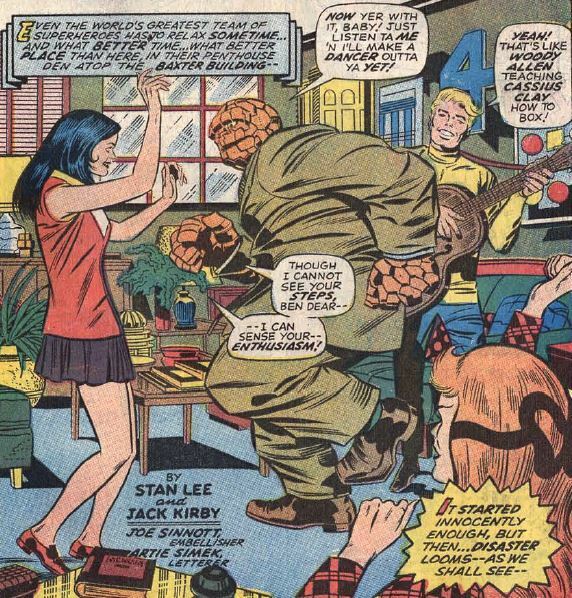 (How much of the FF’s furniture do you suppose he’s inadvertently destroyed by this point?) The fun is interrupted when a letter arrives from a group called the “Maggia.” They claim to have purchased the Baxter Building, and they’re evicting the FF! 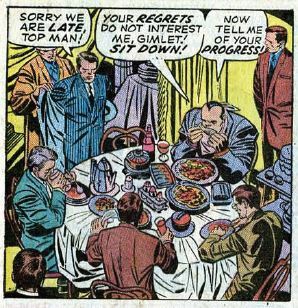 Meanwhile, at a restaurant downtown, members of the Maggia gather for a secret meeting, complete with giant plates of spaghetti. They’re gangsters! They’re leader, known only as “Top Man,” says the eviction is part of his plot to steal all of Reed’s scientific wonders. He has outfitted his men with special bullet-proof suits to deal with the FF. It’s winter in New York, and the FF are out for a stroll, all bundled up. While horsing around with some kids, Ben sees a helicopter flying toward the Baxter Building, which Reed somehow recognizes as a Maggia aircraft. Armed goons are on the roof of the building, Johnny flies up there, and… fighting! 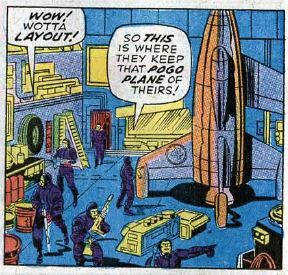 The bad guys have fireproof suits and ice guns (!) but Johnny outsmarts them by generating a smoke screen that they can’t see through. 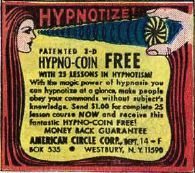 It doesn’t work, though, as the goons hit him with a “circle of force,” whatever that is. Johnny is knocked out, and the Maggia takes him hostage, along with going inside and raiding the place. Reed and the rest of the team make it inside as well, watching the Maggia’s movements on closed-circuit TV monitors. The baddies bust into the room and knock everyone out with “Noxo-gas.” They then seal the FFers in specially-made concrete coffins, drive them out to the Jersey Flats, and dump them in the river. They’re gangsters! 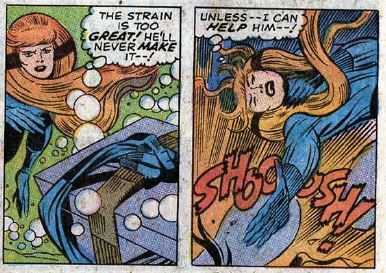 Crystal unleashes an elemental shockwave, which frees the team. Reed swears to retake the Baxter Building, no matter what. Back at headquarters, Sue sneaks through the place invisible while the Maggia men ransack the place. The baddies have a detector that can sense her presence, but they’re unprepared for her using force fields against them, not to mention a conveniently-placed fire extinguisher. The henchmen’s leader, a guy with the unfortunate name of Gimlet, threatens to send more men to Agatha Harkness’s place to kidnap lil’ Franklin, so Sue surrenders. That’s when Reed and Ben arrive, joining the fight. 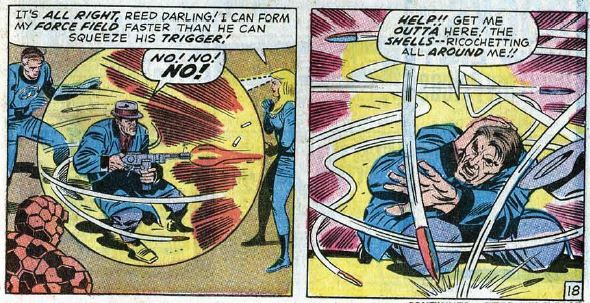 There’s a real scary bit where Sue traps Gimlet inside a force field as his gun goes off, with the bullets ricocheting all around him. Somehow, he’s not dead, but he gives up the fight. 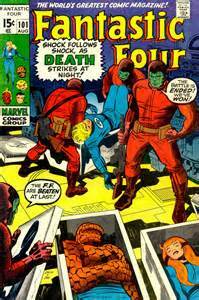 Then the FF’s doorman, the one who delivered the letter at the start of the issue, arrives and shoots Gimlet. 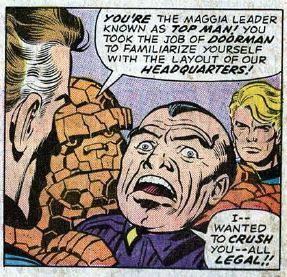 Reed does the Scooby-Doo thing and unmasks the doorman — it was Maggia leader Top Man all along, posing as the doorman to case the joint. He wanted to evict the FF all legal-like so as not to get his hands dirty, but Gimlet screwed it all up with the helicopter attack. The issue ends Reed makes a big speech about how the FF will continue to fight crime and make the world a better place. The problem is, we never see what becomes of Top Man. Does he sneak away while Reed was speechifying? Unstable molecule: Reed keeps his cool during the crisis. Even though the bad guys catch him by surprise, he still works to out-think them rather than out-fight them. Fade out: We get an excellent three pages of Sue fighting the villains on her own, which is more than we’ve got from her in ages. Clobberin’ time: Ben lifts up a car to impress the kids he meets on the street. So, who owns that car? Flame on: Johnny uses his powers to generate thick, black smoke as well as fire, something I don’t recall seeing him do anywhere else. Also, we learn that he can play guitar. Four and a half: Franklin makes an appearance in a few panels, mostly just to let us know he’s still around, and to increase the sense of danger with the FF’s home being attacked. He has brown hair in one panel and orange-y hair in another. Fantastic fifth wheel: Crystal is key to rescuing everyone from their underwater graves, and later she consoles the weakened Johnny by letting him rest his head in her lap, which he’s only too happy to do. Trivia time: This is the first appearance of international crime syndicate the Maggia, who has since been all over the Marvel universe. Stalwart Marvel villains like Silvermane, Hammerhead, and Count Nefaria all have Maggia ties. There was controversy whether the film The Godfather could get away with using the word “mafia,” so I imagine the same must have been true for this comic. Fantastic or frightful? What a weird issue. All the “real world” crime stuff contrasts in a big way with all the high-tech superhero action. I guess it’s a fun issue, but it’s also a mess. Next week: Farewell to the King.